Summer Selections! lots of made to order designs ready to go! I have the largest selection of made to order items yet and tons of in stock items! Please check out my Ebay and Etsy.com for the new items including some items on Ebay not available on Etsy. New Creations April 2013 (Gallery) Jewelry and Knives. 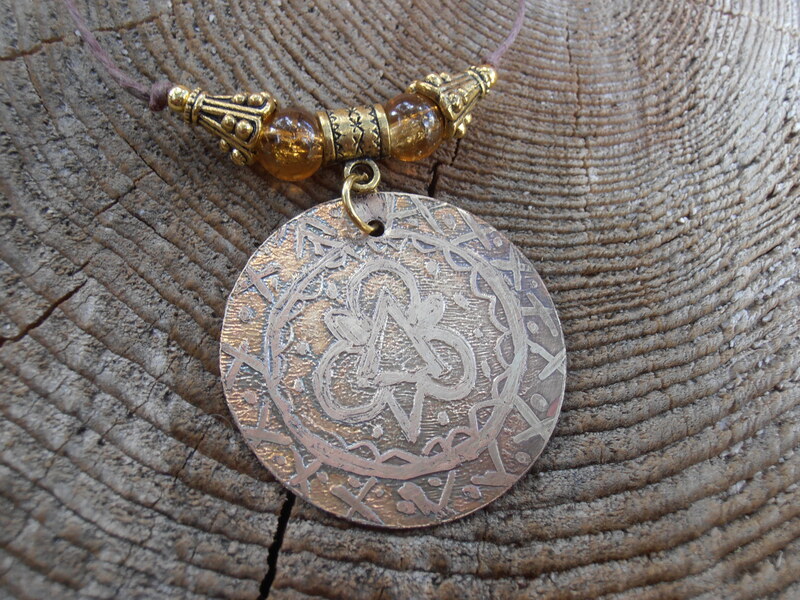 Detailed obscure Celtic amulet etched into 24 gauge brass. 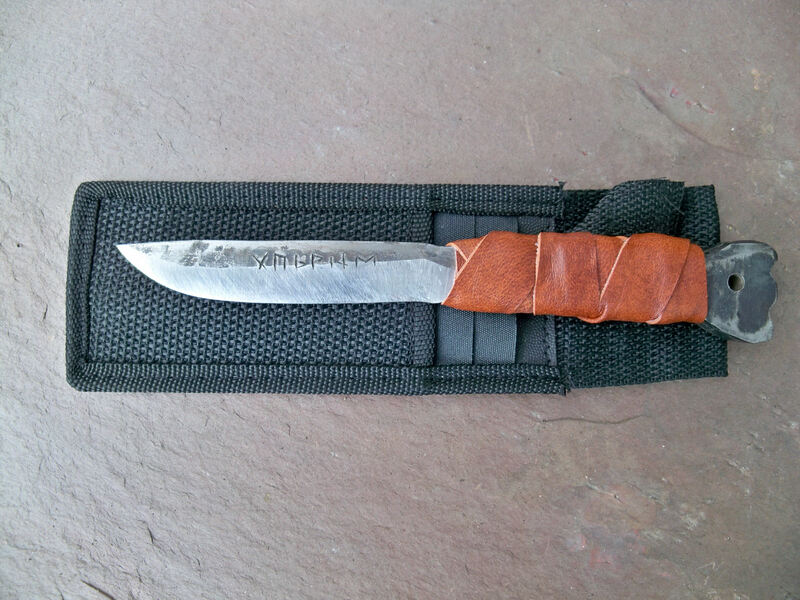 Scandi edge riveted 1080 modern Viking knife. 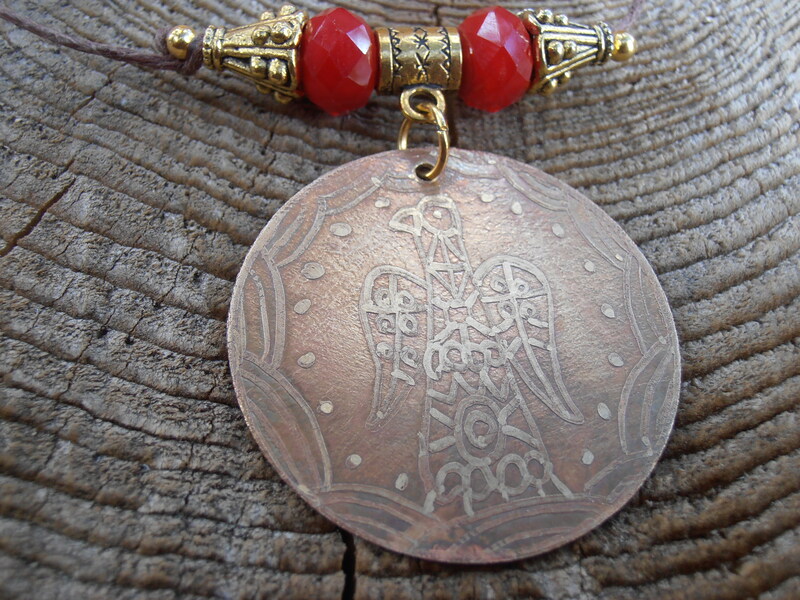 Germanic -Anglo Saxon eagle etched in brass. New smaller iron Mjollnir design. 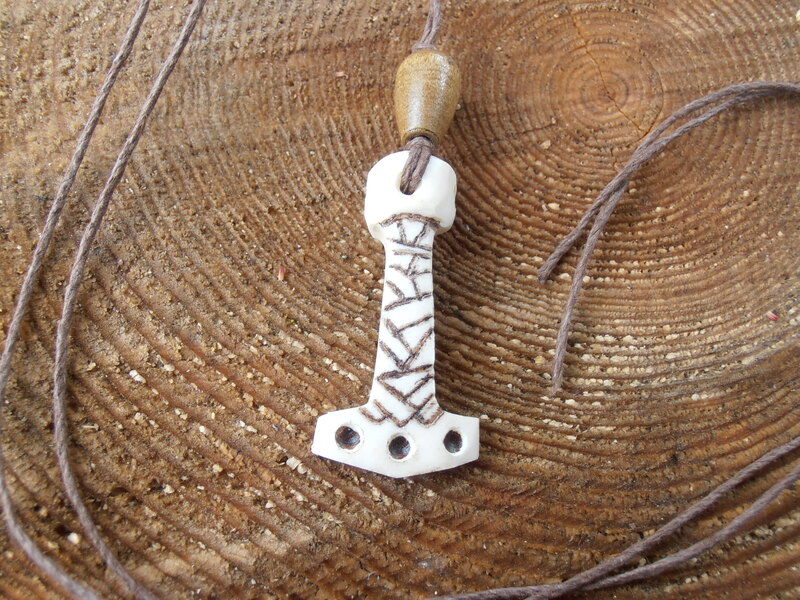 Not metal but an antler Mjollnir! Bronze Athame or Witches dagger. 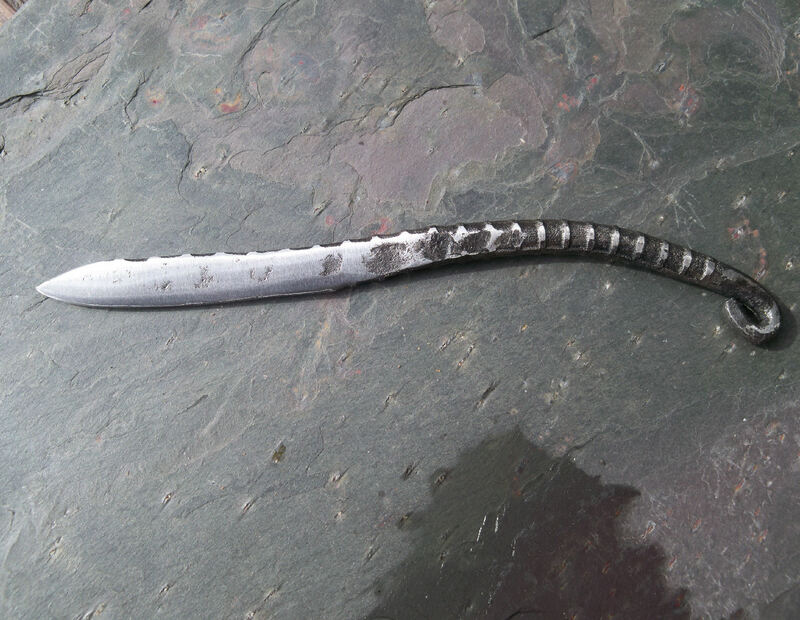 1080 Scandi edge (utility) with stag handled. 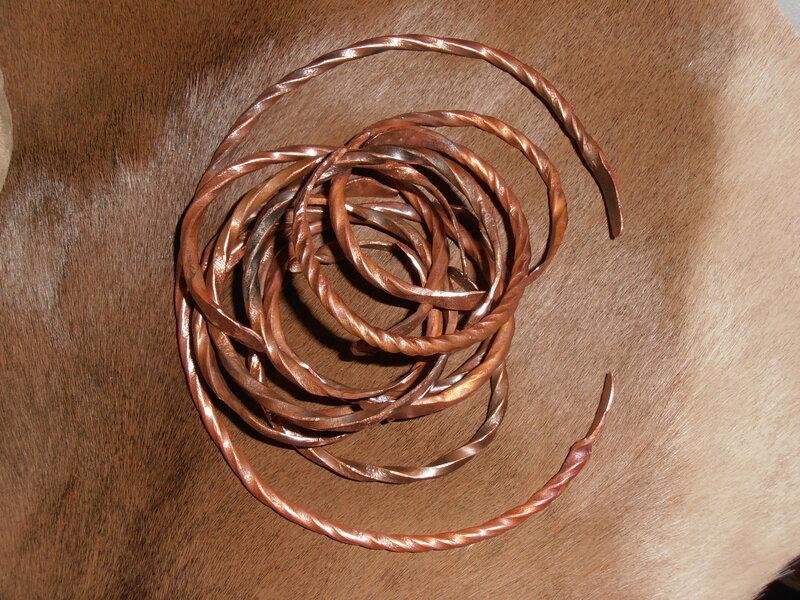 Arm and Neck rings in Nordic bronze style. A good variety of projects! 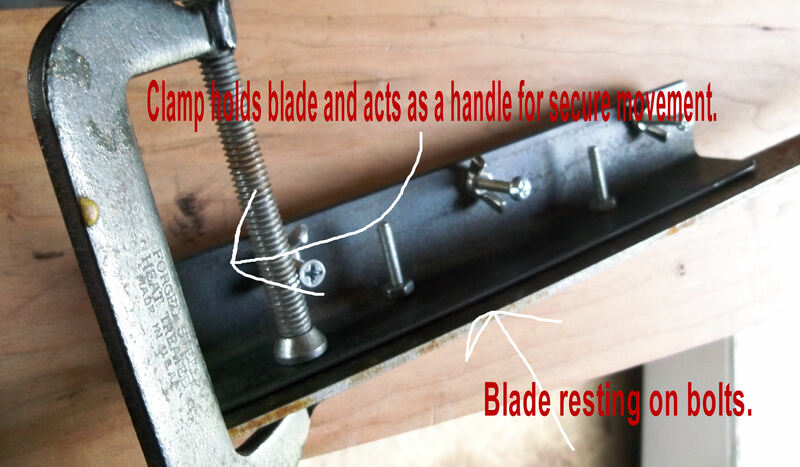 First off before get into explaining this item the original place I saw it was http://www.youtube.com/user/captjeff78/videos and from a few other concepts of static knife edging jigs used in professional factories. I am not associated with Captjeff78 personally but he deserves credit for this great design and honestly the difference maker in my knives going forward. Youtube and many of these great knife video makers are adding valuable if not invaluable hands on info to the greater amateur knife making community so thank you to everyone in the education field regarding Blacksmith and knife making based information. 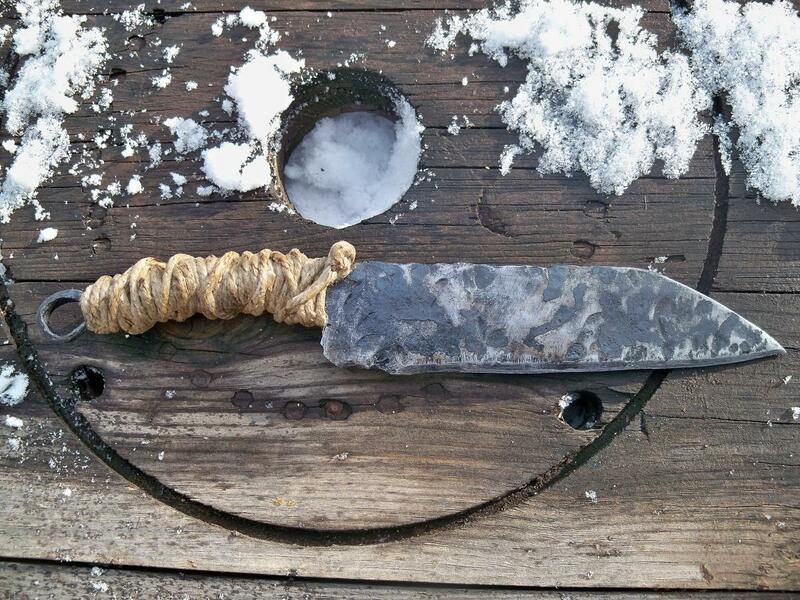 I myself run this blog to help anyone who may be going through the head scratching parts of making knives and doing forge work. Now onto the Visbjorn Scandi Edge jig! Forgive the bad graphics but this item is rude, crude and ready to use! The jig above I use to make Scandinavian Edge style knives to great effect! I can make the same knife with any depth of hollow ground I want and they are basically ready to use right off the sander. I use 80 grit to remove material and 120 to finish my knife edge. I leave the steel at factory finish to creat a more earthy realistic feel that I prefer. I then 3500 RPM wire brush after all heat treating. Sometimes it is nice to hit the master bevel one more time to brighten it up after heat treating. I use a Ryobi 4″-36″ belt sander and generic 1″ by 30″ sander.I prefer using fresh factory made 1075/1080 High carbon steel. Please refer to my Trade off steel post for more info on how to get 1080 and other alloys. As the graphics show, it is rather self explaining how to make and use this item. Simply creating a secure static for the knife to sit on and move it slowly but firmly across the belt until the desired edge is created. I modified mine to be more adjustable and use the large clamp as a handle which can be a pain but creates a more flexible tool if holes are not desired on your tang. I typically mount in antler so I use a Scandinavian tang shape. I hope this will help on the road to better knife making, it has helped me greatly in my own progress and has redefined my art form in many ways. New Creations Gallery Yule 2011/Safety Bullet Points. 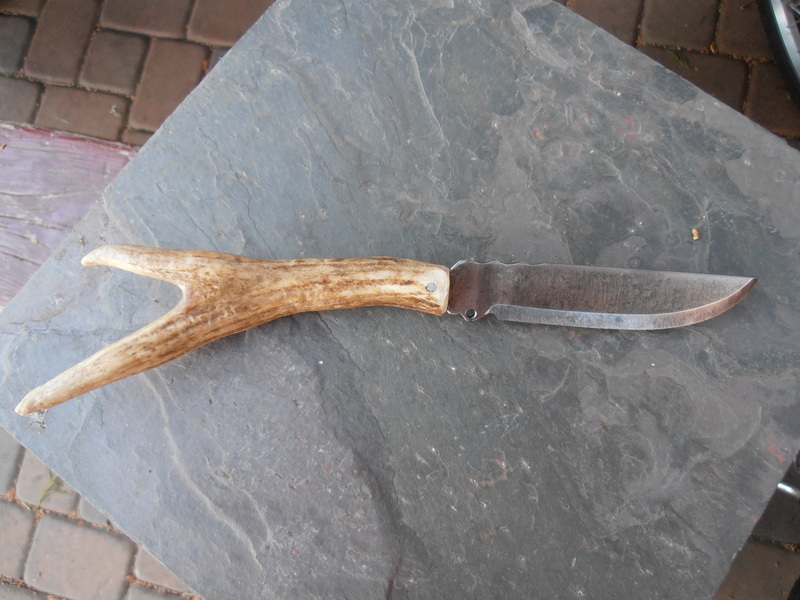 Scandinavian Bush Knife. 1075/1080 blade steel with oil quench. 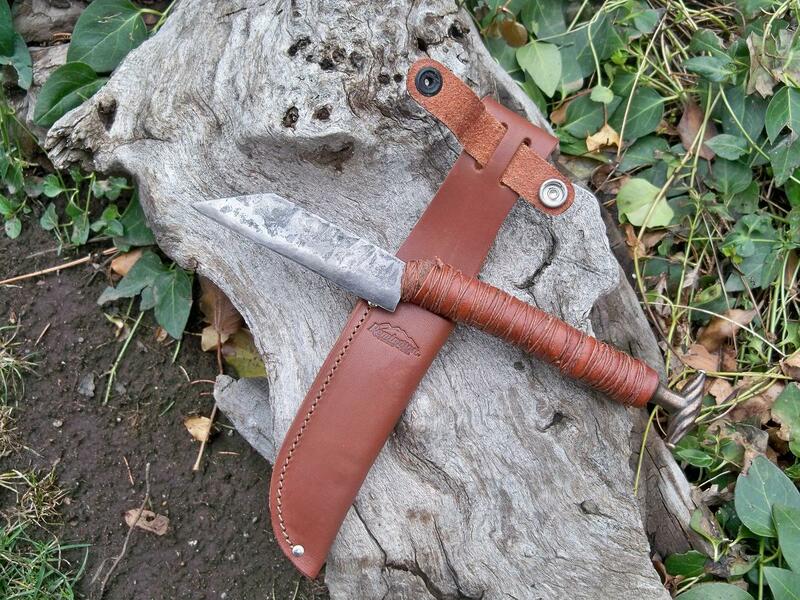 The Bush knife above is my first under my VISBJORN Forge name and the first Vinlander 1.0 although the design will likely include a stag handle after this prototype. I used a Jig to get the edge bevel and I will be doing a very detailed post on who invented the jig originally (With links) and how I made my own version and added my own custom details for what I do. I do not know how I lived with out it before so I look forward to sharing my results and modifications in the future. I will also be doing a Gear overview post to show what an evolving home knife shop might have in it and how you can have a serious shop right in your own shed. I think I went over general safety in a previous post but I will do a safety bullet points right now to refresh. 1. Always wear goggles for grinding and darker glasses for forging. The white spot in the forge can be damaging to the eyes like the light produced by welding..
2. Gloves are needed while grinding to prevent burns and getting caught by the paper/wheel. 3. Hearing protection should be used for any prolonged use of power tools. 4. Always wear a good dust mask while grinding. VERY IMPORTANT. 5. if you use German silver (cupronickel) or nickel in your work whether jewelry or knife accents please be aware the dust is very toxic and should be avoided at all costs. 6. 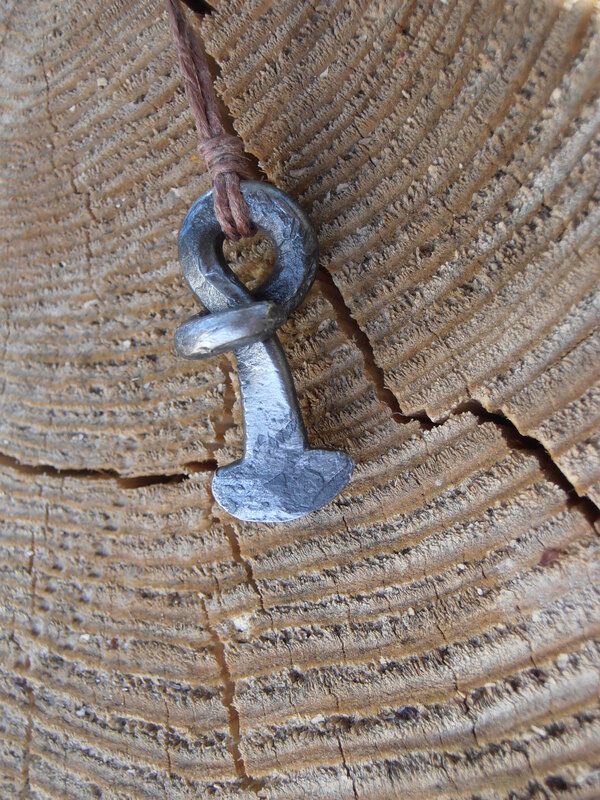 Please see previous posts for blacksmithing tips on hammer holding etc. Outside the box-The new cutting edge. Bushknife Tech. New post! : its been awhile and I have been thinking of what I wanted to post and I decided to talk a bit about unorthodox knife edges and how they improve or atleast living up your creations. The knife above is a D-2 tool steel Starcke T1-5 Seax or Tactical Seax (Copyright Norsewest Industries 2011) The knife has a rather radical cutting edge in that is has only one bevel and the opposite side is flat ground. This allows the user to maintain the edge almost exclusively with a steel. I myself was skeptical having seen similar ideas in pocket knives with less than stellar results! but when I finished this version 1.0 prototype I was shocked how proficient the edge was and how truly sharp the knife is with a single sided bevel. As you can see the side 2 shot notes the straight angle with no bevel. By using the Seax design it allows a perfectly straight cutting edge with no awkward to sharpen angles. 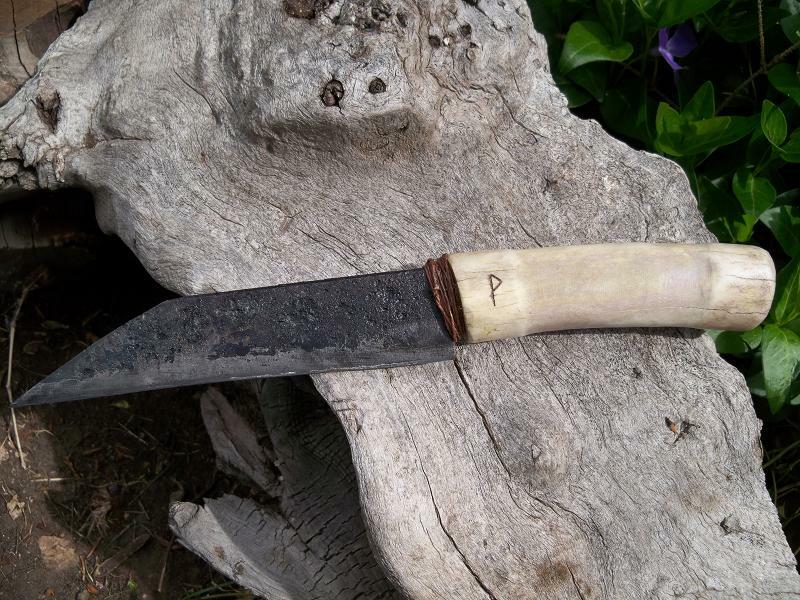 Combine this with the single side bevel and you have an easily maintained Bushcraft knife with modern and ancient designs. So far this design has managed to make mince meat out of 3/4 inch rope, leather, vinyl, fabric and wood with total ease, so I recommend you think more creatively about your edging and have fun experimenting with new angles and applications to your knives. Experimentation is a good thing in any craft or art form and without bold new directions and ideas no art form can survive. Always have fun and bring your best intentions into the workshop. 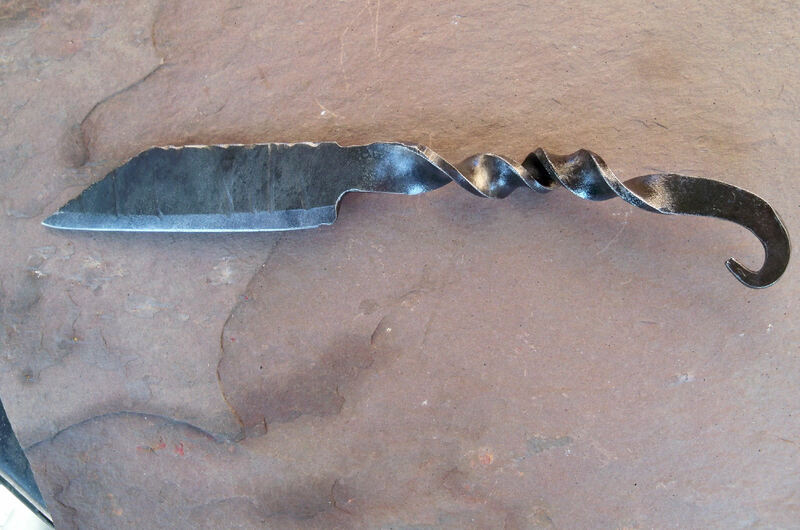 Hope this inspired some out of the box Knife or any kind of metal crafting. 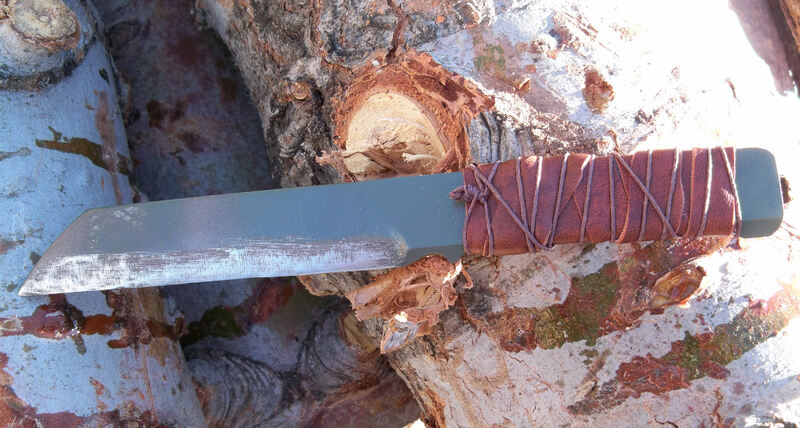 stay tuned for new Starcke and Greenlandr Bush knife experimentations/ideas in design. 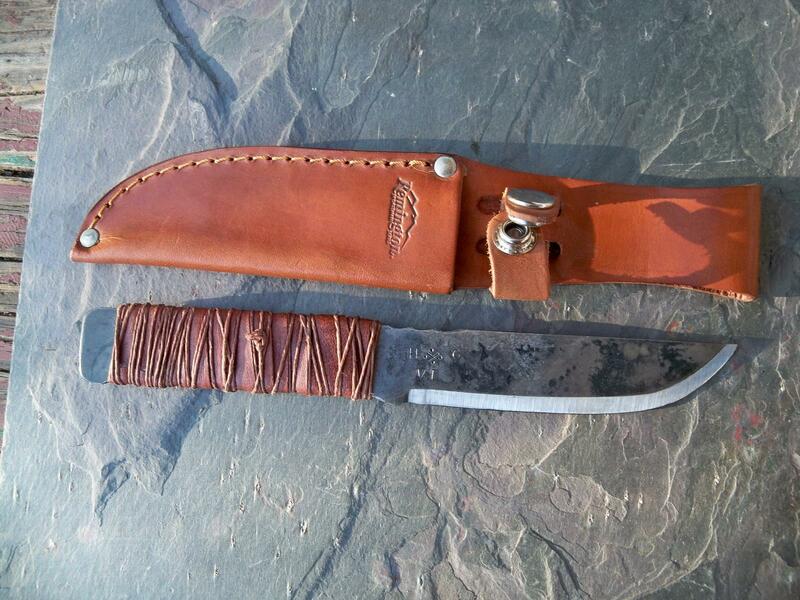 Norse Seax and its finer points of design. 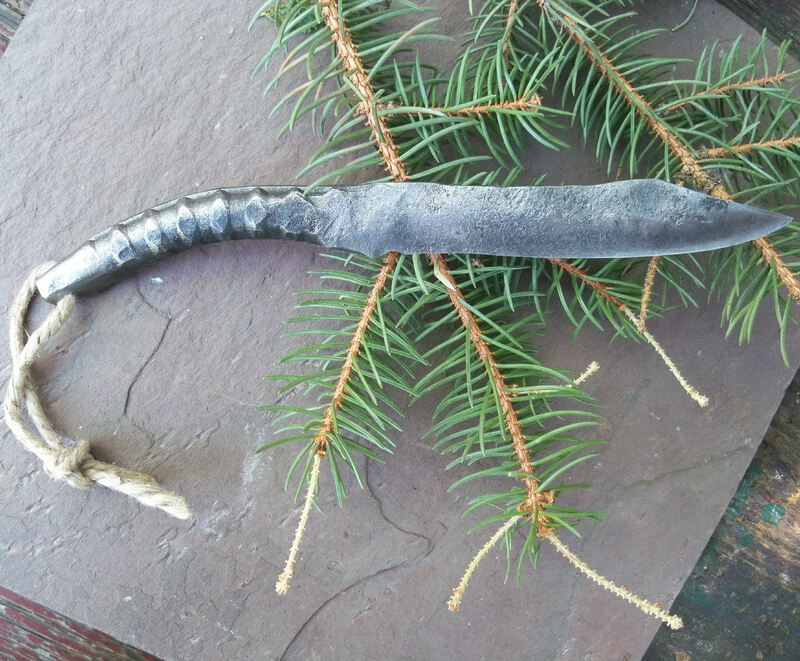 Norse Seax in Battle form with Reindeer antler handle. 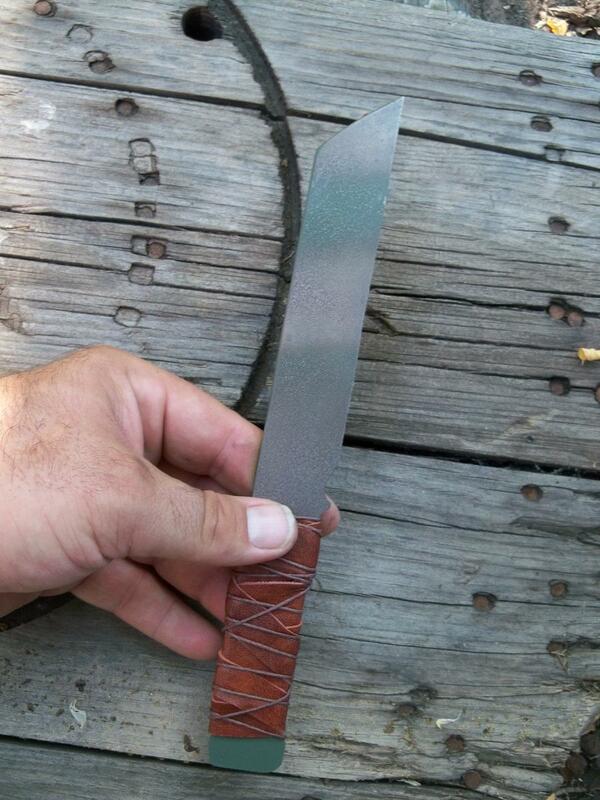 Utility lenth Seax Forged from High Carbon Steel. Length 7 to 24 inches historically. Date of invention early: Iron age. Notabe details: Steep drop angle nose and straight cutting edge. 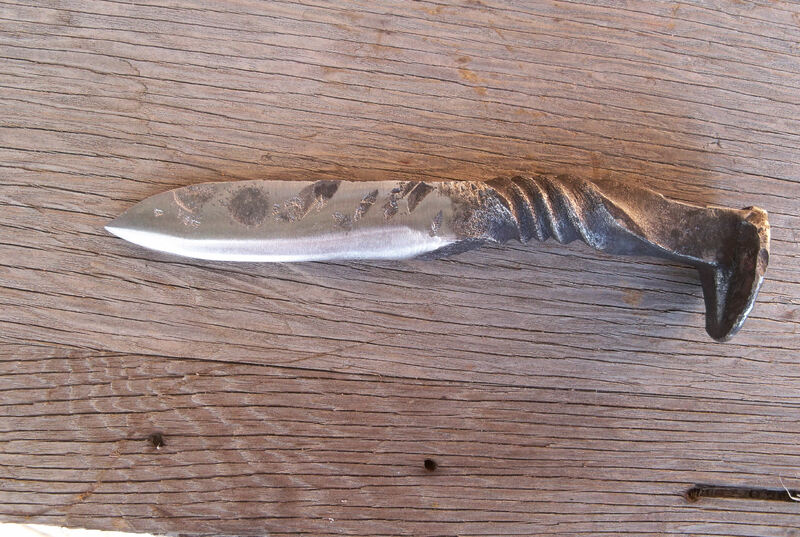 Name: Seax is from the Germanic word “SAX” meaning short sword or long knife. The Saxon people derived there name from this weapon because of there lengedary use of the weapon. 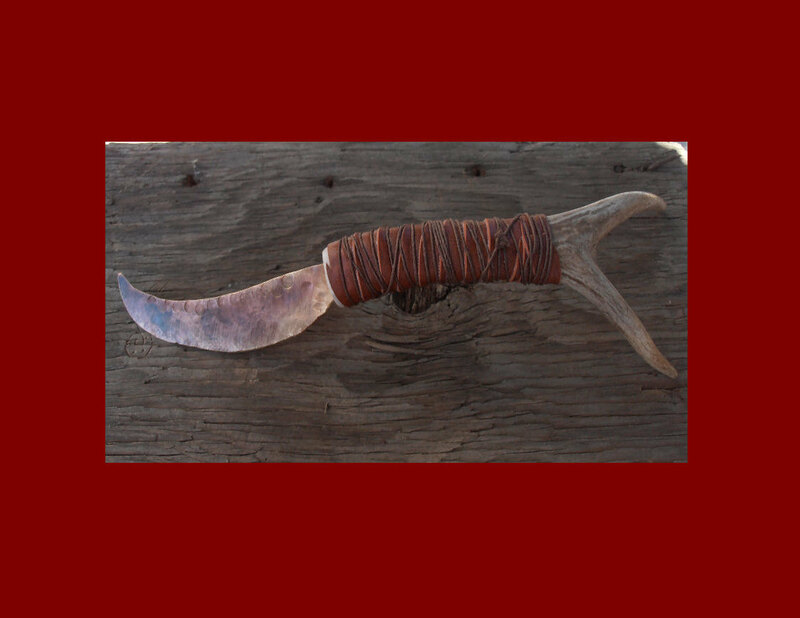 No man was without this blade in the time of migrations. The popularity of the blade was so woven into Nordic culture that the Seax in style existed from the early iron age through the Viking age. A hand Axe could also be added to this already fully stocked personal armoury.